Once you get the hang of making meals and snacks from real food ingredients, you’ll find that there are all sorts of ways to save time, energy, and money. This site is full of ideas, and all of my favorite, most loved and used ideas are in my book, Oh, For Real: Real Food, Real Family, Real Easy. Having that book means you have all of my best tips and recipes right in your kitchen! Read about the book here. 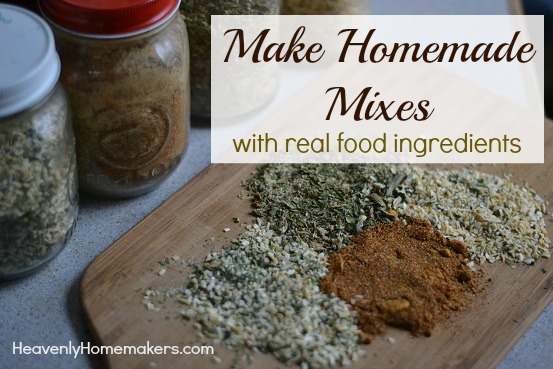 One of the tasks I do often in an effort to prepare real food in a short amount of time is to make homemade mixes. Everything from salad dressing and dip mixes to homemade bisquik-type mixes are available for purchase, and you can even find healthier varieties of each. But they can be pricey!! Plus, you don’t get to choose the ingredients in those. 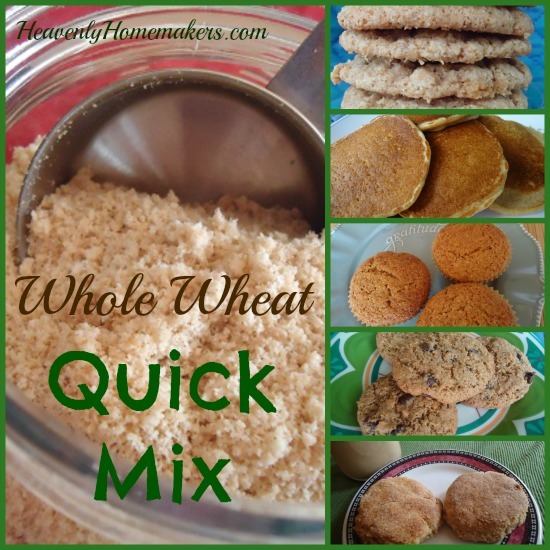 Making these mixes at home saves a wad of money, plus tastes even better, in my opinion. Below are the mix recipes I’ve shared on this site. Take some time to put a few of them together and see if you don’t save lots of time and money on these healthy, real foods! I use the Taco Seasoning Mix for tacos and fajitas, for Taco Potatoes, Taco Corn Fritters, and any recipe I come across that calls for packaged taco seasoning mix. This one is my favorite! I use Ranch Salad Dressing for salad dressing and dip, of course. But I also use it in Cheddar Ranch Burgers, Turkey Ranch Pinwheels, Ranch Potato Wedges, Ranch Cheese Ball, and many other recipes that call for ranch dressing or ranch seasoning packets. 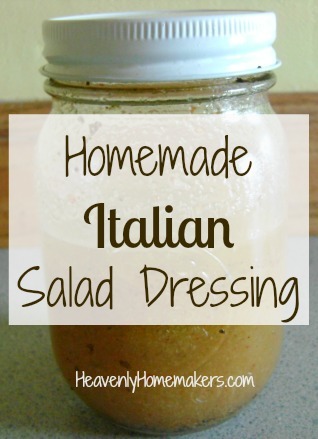 Beyond salad dressing, I use Italian Salad Dressing Mix to marinate meat, to make Italian Cream Cheese Chicken, Italian Pasta Bake, Italian Roast Wraps, Italian Stew, and many other recipes that call for Italian dressing or Italian seasoning packets. This Onion Soup Mix is great to have on hand for dips and seasoning, as well as to make this great One Dish Meat And Potato Casserole. Having these mixes in my pantry (or freezer) means that all I have to do is grab what I need and throw it in a bowl or cooking pot. In just a few minutes, I have made salad dressing, seasoned my meat, started a meal in the crock pot, or mixed up a batch of dough. So, so easy and yummy. What mixes have you tried making yourself? Which are your favorites?